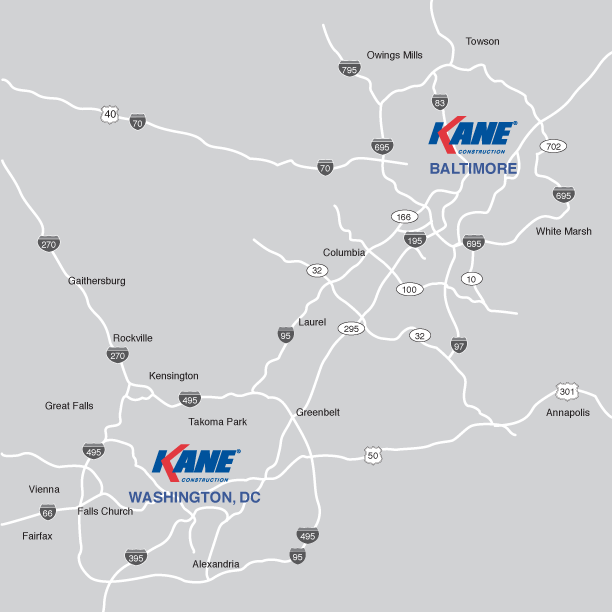 The Baltimore Chapter of Associated Builders & Contractors (ABC), a non-profit trade association, has named KANE Construction, Inc. the winner of four awards, including three Excellence Awards in their annual ABC Awards of Excellence Program. Setting a new benchmark for Awards from ABC Baltimore, KANE’S Carroll County Courtroom #10, Johns Hopkins Community Physicians at Remington Row, and Johns Hopkins Medicine International Headquarters all received the chapter’s highest Excellence honor, and KANE’s Qiagen Science project received Merit recognition. KANE’s Carroll County Courtroom #10 project, completed in June of 2016, consisted of significant interior renovations to the lower level of the courthouse facility in order to provide space for an additional circuit court judge. One Maryland’s newly upgraded courtrooms, the off-hours projectincluded state of the art technologies integrating lighting, audio, visual and computer systems. The existing 9,800 square feet of space was previously utilized for records storage.It was renovated to make room for a new ceremonial courtroom and associated spaces in order to support todays larger and more technology dependent judicial proceedings. The renovated areas consisted of a new courtroom with a large 100-person gallery and court well, lobby, jury deliberation rooms, attorney conference rooms, prisoner holding, judge’s chamber, staff offices, bathrooms, and record storage.The project required careful coordination of the circulation patterns of the judge, defendant, jury, and public to ensure the sanctity of trial and each group’s security. In July of 2016, KANE completed a 25,900-square foot interior fit-out for Johns Hopkins Community Physicians at Remington Row.Construction included a main reception area, medical and lab space, patient examination rooms and cafeteria and office space for the staff. 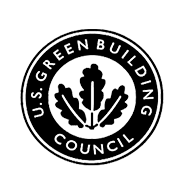 The space utilizes a high end lighting system that takes advantage incoming sunlight and uses it to reduce costs.Construction took place while the base building contractor was only 50% complete, which required close coordination of final inspections. This project exemplified the ability of ABC Contractors to work together as a team to provide a final product that exceeded the customers’ expectations. Substantial MBE and LBE participation were also utilized on the project as required by the client. Final design and construction included a “back of house” doctoring and “front of house” self-rooming concept. The Johns Hopkins Medicine International Headquarters, completed in January 2016, featured the construction of a new open office and meeting space. Open ceilings and glazed office entrance systems set off this LEED Silver designed project in the bustling neighborhood of Harbor East on the edge of Fells Point. The build-out involved four sides of exterior glazing, and is constructed above a raised access floor (RAF) delivering a zoned constant volume of air system. As a result of southern exposure on two sides of the building, the seasonal heat gain produced glazed surface temperatures of approximately 130 degrees and thereby presented a zero margin for error in craftsmanship to ensure the efficient delivery of air. The base agreement allowed KANE to successfully value engineer the glass and ceiling scopes in conjunction with ownership and the design team. ABC’s National Excellence in Construction program has become the premier competition within the construction industry that recognizes outstanding construction projects across the nation. The Excellence in Construction Awards celebration honors the nation’s most innovative and high quality construction projects, safety programs and diversity programs. KANE Construction will officially be recognized at ABC’s Awards of Excellence Ceremony on April 12, 2017 at the Hyatt Regency Baltimore.